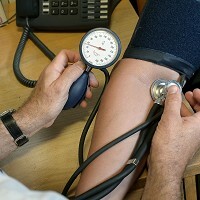 The lives of more than 20,000 people in England were saved between 2000 and 2007 as a result of efforts to reduce blood pressure and cholesterol levels, new research has revealed. Experts at Liverpool University looked at the causes behind the dip in coronary heart deaths since the beginning of the millennium. In particular, they focused on drug treatments and lifestyle changes aimed at reducing cholesterol and high blood pressure among the population. After reviewing a wide range of documents, including trial data, surveys and official statistics, the researchers calculated that the number of coronary heart deaths prevented or delayed between 2000 and 2007 was 38,000. More than half of these lives, 20,400, were saved because of a dip in blood pressure and cholesterol levels. Around 13,000 deaths were prevented or delayed due to a substantial drop in blood pressure levels, the experts added, with 7,400 due to lower cholesterol. A social breakdown of the figures found that almost twice as many deaths were prevented among the poorer part of the population due to lower blood pressure levels than among the richest part. More than one in 10 of all lives saved by a drop in blood pressure were connected to drug treatment, while the rest were linked to changes in risk factors. High blood pressure is extremely common. If you're taking a holiday and you have the condition you may want to arrange pre-existing medical travel insurance. Of the 7,400 deaths prevented or postponed due to lower cholesterol levels, around two thirds (5,300) were linked to the use of statins. The drug helped to prevent or delay 50% more deaths among the wealthier part of the population than among the poorest, while "changes at the population level" helped to save three times more lives among the poor than among the rich. The researchers said around one in seven (14%) coronary heart deaths prevented in the period remain unexplained but may be linked to a drop in stress levels. They said that running more public health campaigns aimed at cutting down on salt and trans fats may have a bigger impact on coronary heart death rates than prescribing drugs. The British Heart Foundation's associate medical director Dr Mike Knapton said that while statins play a key role in bringing down the number of deaths, they seem to have more of an impact among the wealthier parts of society. He added that "prevention is vital" and said policy makers should focus on the "health inequalities" highlighted in the report in a bid to save "even more lives in the future". The findings have been published in the British Medical Journal.